The further out on the island you get, the more scenic it is. 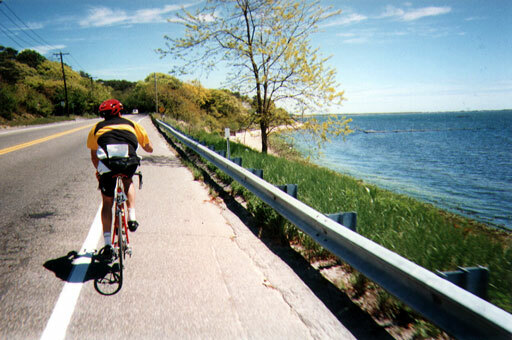 Ron warned me early on that Jeffrey suffers much during long rides, yet near the end, when he, Ron, is winding things down, Jeffrey calls up reserves and starts jamming. I did long pulls as we neared the end. Ron and I paid carefull attention to ensure that Jeffrey was still on the back. And still he fell off the pace and we waited for him again and again. Yet in the last miles, all of a sudden he starts jamming in spurts--just sprinting away. I was hard pressed to follow him and maintain my smooth cadence. So eventually I let both of these guys go ahead and slowed down. Ron finished first, out of my sight. 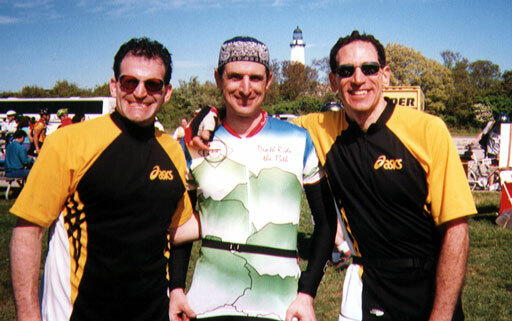 Jeffrey was within sight as I rode past the Montauk Lighthouse. 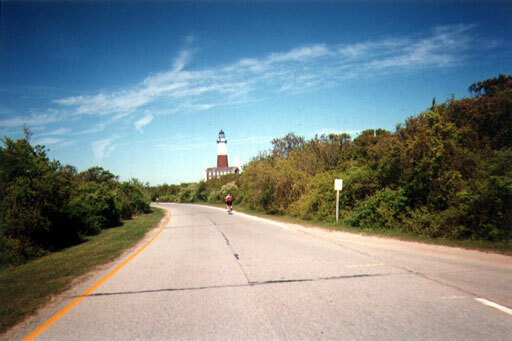 This is the Montauk Lighthouse. That's it. The finish. I feel like I'm between Tweedle Dum and Tweedle Dee. I got Jeffrey's number and called him to get his address so I could send him the second set of prints from the disposable camera. I learned that the two guys live in the same building on the upper west side. They remind me of two characters in the book I'm reading: Mortimer Lightfoot and Eugene Wrayburn in Charles Dicken's Our Mutual Friend. The two characters are far too accustomed to each other. There is a thick intimacy that is like a conspiracy. I didn't stick around at the finish area. 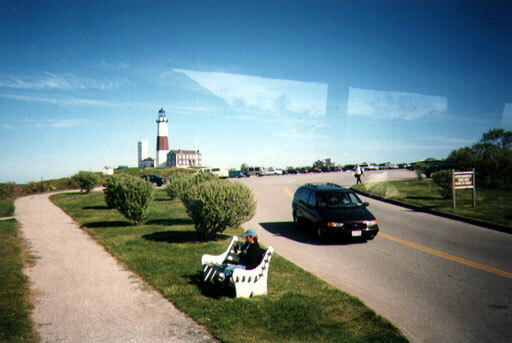 Arrived at 4:00 PM and got on a bus to the Montauk train station at 4:30. Rushed through a shower said goodbye hurriedly. I did what I set out to do. Finished the event with no injury. Got a nice work out but didn't jam at anytime, just took it easy. A last look from the bus. 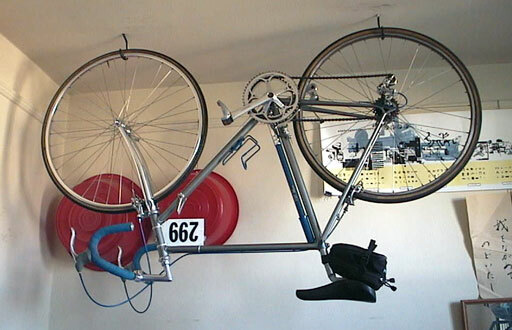 And the bicycle goes back up on the hooks.